Add the pop of freshly squeezed lime to food & beverages with this handy True Lime® Shaker. Through our crystallization process, True Lime always delivers consistent taste as easy as a shake! 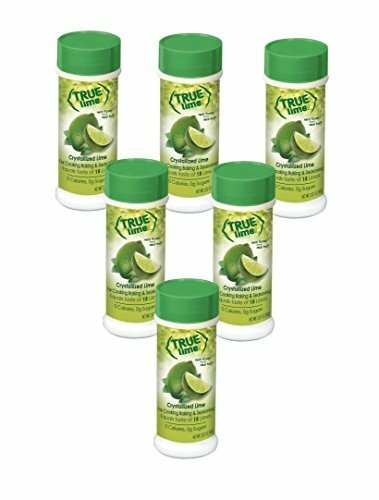 True Lime is perfect for sprinkling on seafood, meat, chicken, fruit, vegetables, and salads. True Lime can also be used to replace lime juice and flavor food instead of salt. Be sure to check out some recipe ideas in the images above. 100 % Guaranteed. Purchase this case pack today and see how many different ways you can find to use these flavors. If you have any questions about this product by True Lime, contact us by completing and submitting the form below. If you are looking for a specif part number, please include it with your message. Woodstock Farms Organic Sesame Tahini, 16 Ounce -- 12 per case.